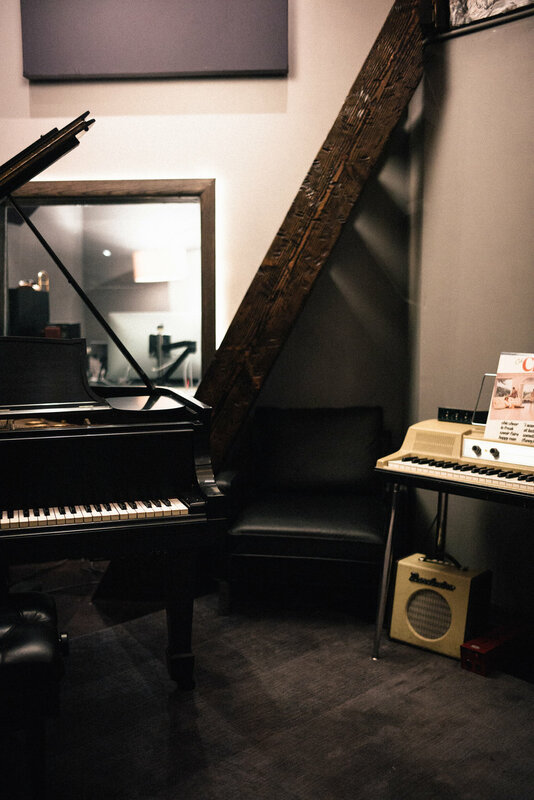 Our flagship facility, Studio A is a 3-room studio that draws inspiration from Abbey Road's iconic studios. The vibey Live Room, analog gear-filled Control Room, and huge collection of instruments and mics are all you need to make your next album. 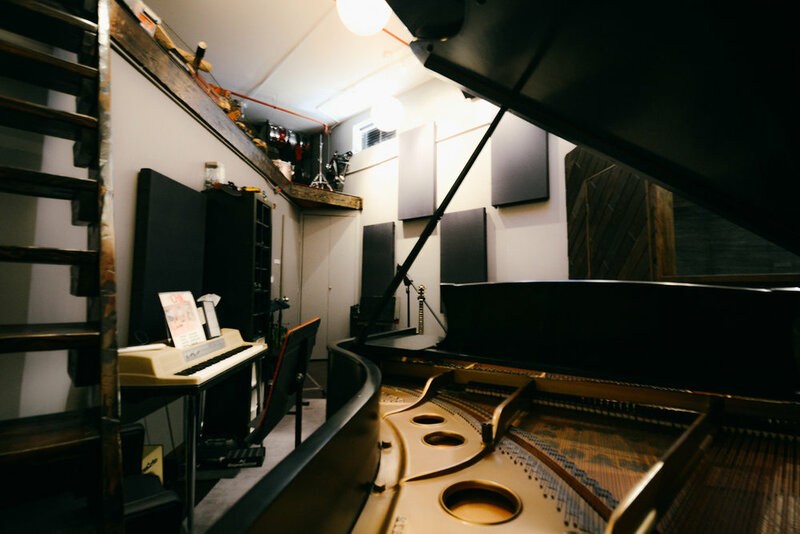 Studio A combines a full-sized tracking room, a vocal isolation booth for pristine voice recording, a 1911 Steinway O grand piano, an acoustically tuned mix room, an isolated Machine Room, and a large collection of instruments and analog recording gear. We always set up your session before you get to the studio, so you can get the most out of your recording time. No more waiting around for hours to make music. Visit out Setups page below to learn more about all of our affordable session types, and let us help you prepare for your perfect session! Our pristinely restored 1911 Steinway "O" Grand is one of the best recording grand pianos you'll find anywhere, and it's ready for your next session. Jazz, classical, rock, pop--whatever you play, let's make your next record a classic. Click below to check out all of the equipment we have ready for your session in Studio A, including all of our classic microphones, analog equipment, drums, guitars, synths, effects, and our state-of-the-art Pro Tools recording rig! Once you record in our custom vocal booth, you’ll never want to cut a vocal anywhere else. We built it by hand with singers in mind, from the wood shell to the cozy, velvet-lined interior. And it’s does double duty for recording blazingly loud amps, live with the band. Need even more isolation? We have an additional two amp iso booths if your band has some serious amperage. It's the details that make all the difference between the take and the cutting room floor. We sweat the small stuff, from our fully-stocked coffee & tea bar to custom labelled headphone mixers, so you can focus on the important things during your session. With Moon Connect, collaborate in real-time with anyone in the world. We can interface with any studio or talent in perfect recording quality. Wondering if Studio A is the right space for your project? Drop us a line, and we'll get in touch!